The iPhone 7 and iPhone 7 Plus have both launched and soon will be available. Apple will have 32GB, 128GB and 256GB iPhone 7 and iPhone 7 Plus versions in stores. Just like every other iPhone, Apple will not include a microSD card port in the iPhone 7 or 7 Plus. If you’re looking to save some money with 32GB version, you will definitely need this Transcend JetDrive Go 500 as external storage as many apps require hundreds of megabytes of space and it doesn’t take long for those high-quality 4K videos to be filled up immediately. 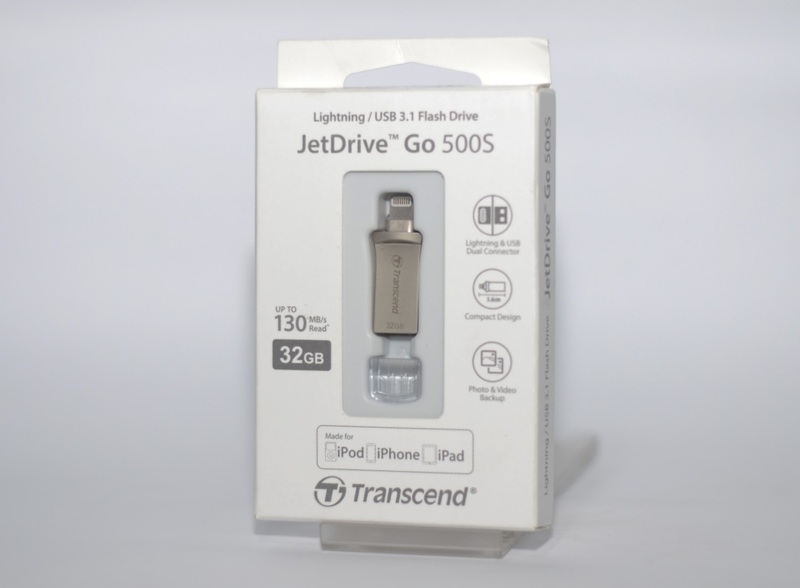 The Transcend JetDrive Go 500 is one of the smallest MFi certified flash drives on the market. The device is compact and stylish, making it easy to integrate into your existing carry. 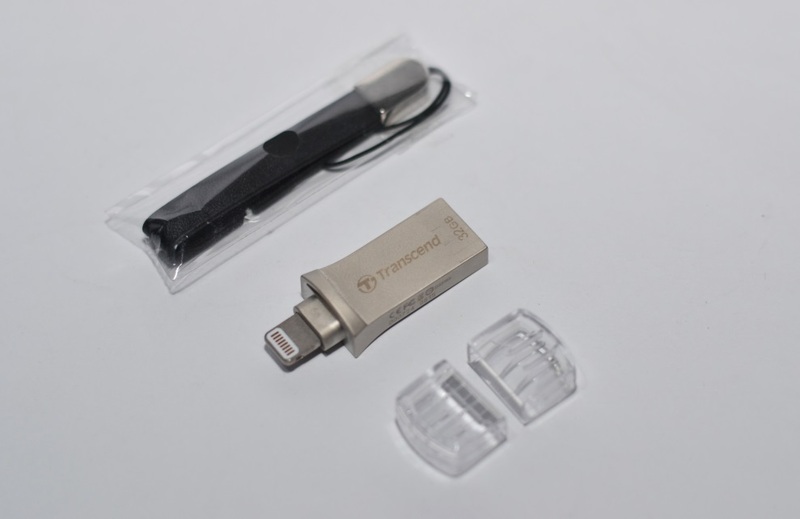 The JetDrive Go 500's Lightning connector comes in a 4mm extended design, allowing properly connecting to your device without removing the case. 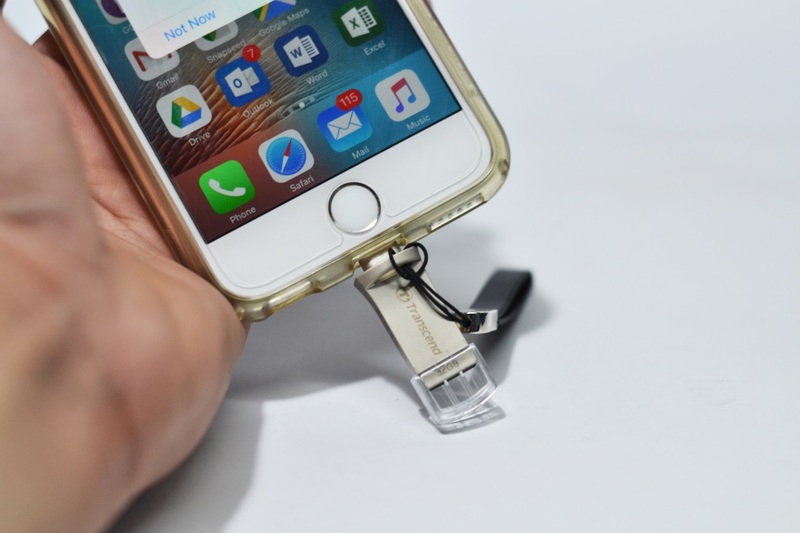 The extended Lightning connector is a considerate design for iPhone, iPad and iPod with oversized protective bumper cases that could block the flash drive from being perfectly inserted. 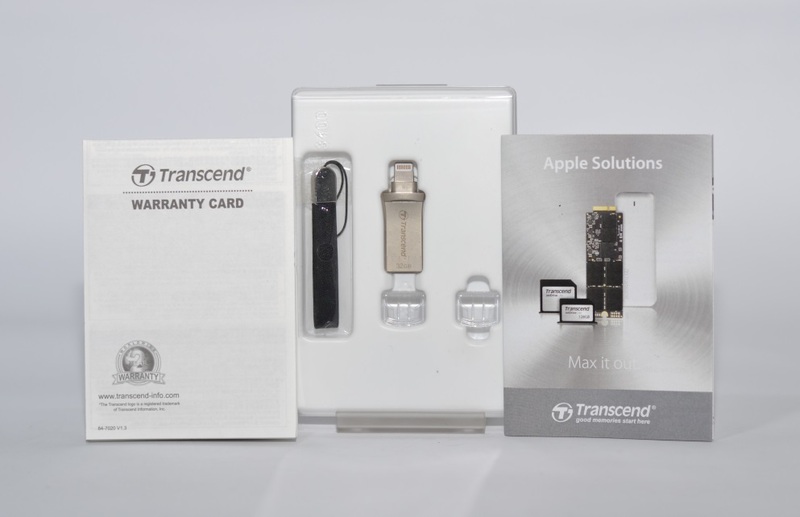 The dual drive showcases the 20MB/s transfer rate for iPhone and iPad while the other end is the USB 3.1 connector easily determined by a color blue, which connects directly to your PC and MAC with blazing transfer rates of 130 MB/s without any delays in copying video and photo backups. The app’s interface has four sections: JetDrive Go storage, My storage, Camera Roll and Backups. 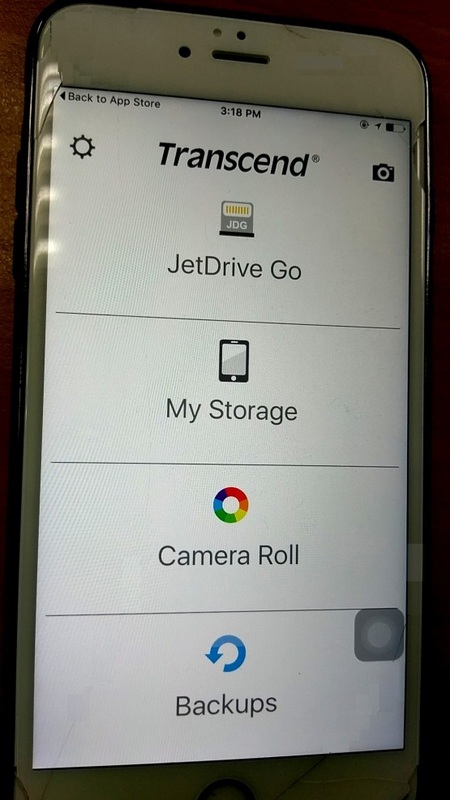 To copy pictures from your iPhone to the flash drive, go to the Camera Roll on your JetDrive Go Menu and select the desired file to copy into your JetDrive Go 500s. When you tap Backups function, you can select which files types – photos, videos, or both to back up to your JetDrive Go 5 And if you tap the snapshot icon, you can take photos or record videos saved directly to the JetDrive Go’s memory, bypassing storage on the iOS device. I have been waiting for a product like this. Apple disabled the memory expansion on the iPhone which most users found unappealing, to say the least. Sure, you can offload videos, but most people prefer to keep their videos and photos in their devices for easy access, even if there’s always cloud storage option. These days, having a flash drive with you at all times has become a necessity, thanks to all the data we handle. Adding to the value of the JetDrive Go 500s is the ability for you to directly store videos and photos you take onto the drive itself. 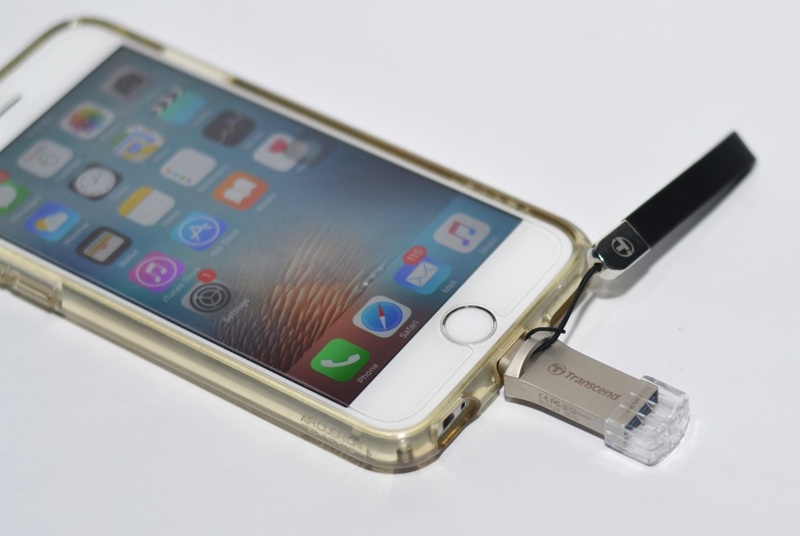 Just connect the flash drive to your iPhone and then record your video. With just one click, you can back up all your pics and videos on your phone or you can just copy the ones you want to. The best thing about this device for me is that I can plug it into my computer or laptop, copy files, and copy them to my phone without having to deal with iTunes. Very much highly recommended especially for those people who have the limited storage on their iPhone devices.